The trailhead starts at the new gravel parking lot on Historic Springfield Road past the park campground. Ride the old wagon trail into the woods past the hiking trail entrance (no bikes on that please) and then a left goes to the North Loop (clockwise), a right goes to the South Loop (counter-clockwise). The North Loop features winding rolling hills and a couple of wonderful stream crossings. These will be dry beds during the Summer. Some tight turns and a few rocks are the most technical parts of this section. You'll follow a seasonal stream a bit and shortly after crossing it you'll start a short climb with one switchback. Roll through the hardwoods punctuated by cedar trees. You'll cross a fire break a couple of times, make sure to stay on the trail (straight ahead). After a couple of miles of riding you'll enter a section known as "The North 40" that starts with a bunch of fast rollers before eventually crossing a stream and then heads up through switchback and a few non-technical rocks before getting to a highpoint. Enjoy the winding downhill that follows until you come out onto a fire break. Follow the fire break to the next stream crossing. You are now on the South Loop, shortly after crossing the stream you'll head up to a tough, steep turn to the right. Never fear, after the turn you'll have a gradual uphill section on wide, non-technical trail for less than a tenth of a mile. At this point, open up the throttle. The next 3 1/2 miles is easy, flowing trail slowly making it's way down the south side of the hill. One short climb in the middle brings you to the ridge again. Soon you'll come around a point on the ridge that during leaf off, overlooks Lake Bennett. Have fun, keep your speed in check depending on your skill level and enjoy the next 3/4 mile of hill hugging downhill. At the bottom you'll cross a substantial bridge and a few hundred feet later you'll arrive back at the Springfield Trail. A left turn will take you back to the parking lot, straight ahead will let you do it all again. Review: My first intermediate rated trail, I'm a novice with very little experience, I really enjoyed the challenge of the south loop. I do recommend being physically fit and watch out for loose gravel. For being a rookie to the sport this trail is a confidence booster and really helps bring out minor skills naturally. Review: More on the South Loop. Because of how dry the trail is currently and the mix of soil and gravel, you'll find out if you need new tires in the cornering through the tight grouping of smaller trees...especially on the gradual declines. Will definitely do this one again. Review: South loop is really awesome. Gives beginners a feel for the trail without being overly technical. North loop is more technical. Review: I am a novice on a mountain bike, having ridden about 200 miles this fall. My review may not be helpful to the great majority. I loved this trail! There were a few hills that I had to walk, but there were no sections that made me uncomfortable. It was very manageable for someone of my skill level, and the more experienced riders seemed to be having a blast, too! 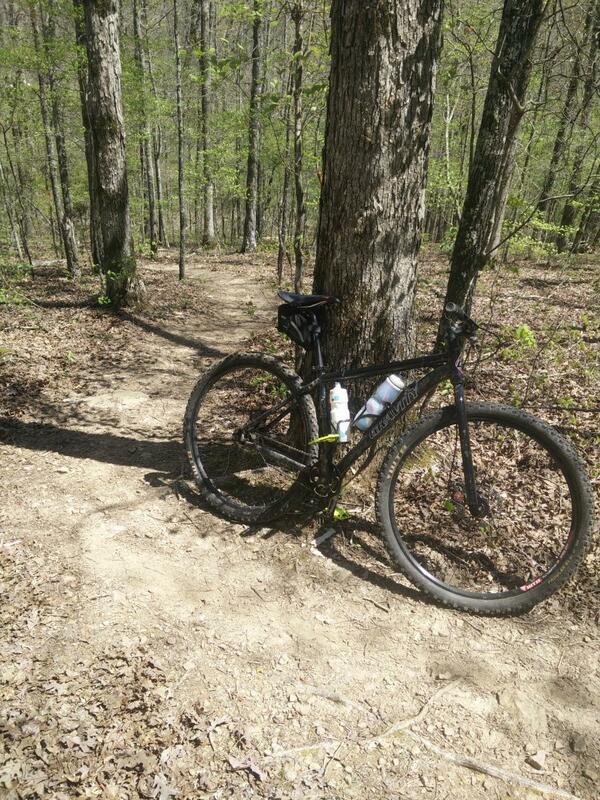 Review: Great single track in World Hollow State Park. Punch elevations and is good challenge intermediate riders. North trail is more technical and south has nice fast flowing singletrack. Enders Fault MTB Trail 4.60 out of 5 based on 6 ratings. 6 user reviews.